The MAX3 parking system makes it possible for 5 to 29 cars to be parked in the car park system. 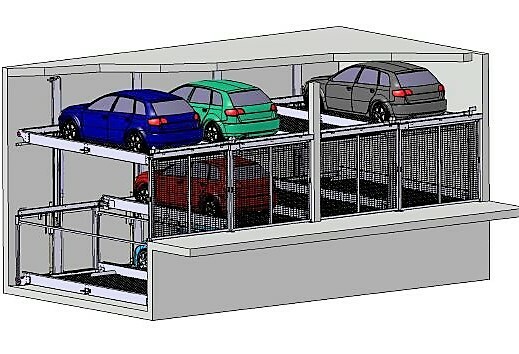 It has three levels on which cars can park one above the other. The cars can be selected flexibly - this allows completely independent parking. 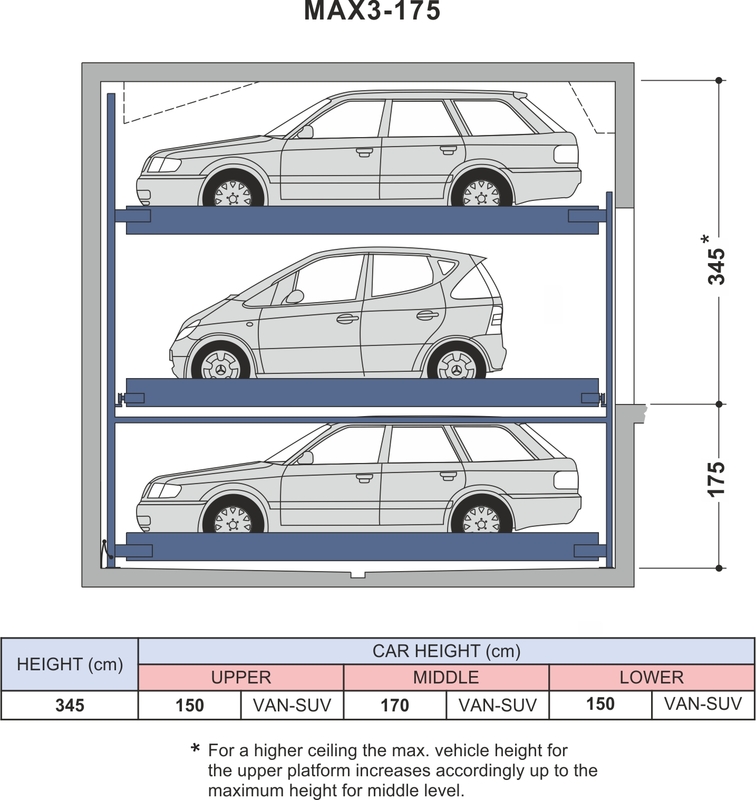 Thanks to an empty space, the respective parking spaces are moved vertically and horizontally so that the desired vehicle can be requested by remote control. The entrance is secured by gates which protect the vehicles from theft and vandalism. • The sliding doors are made of steel, other materials are available on request.